With the help of our clients, we are able to offer our clients with a wide range of Industrial Evaporators for Food/Pharma/Natural Products that is best suited for heat-sensitive products like milk and fruit juice due to its low contact time. These are widely appreciated by our clients due to their compact design, low building cost and continuous operations. 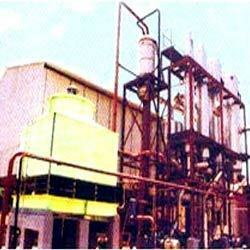 Our evaporators are widely used in deep vacuum applications, and are characterized by very low pressure drops. We are offering our clients with Zero Effluent Discharge Evaporators that are a thermal evaporation in an energy intensive operation. To ensure optimum utilization of steam consumption and powder, our evaporators are specially designed in multiple stage units with or without Thermal Vapor re-compression (TVR). Moreover, these are widely appreciated by the clients due to their corrosion resistance & excellent performance, and help in reducing the cost of operation as low as possible. 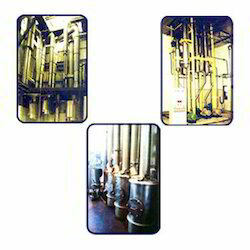 Looking for Industrial Evaporators ?